Dr. Arash Gabayan is a board-certified radiation oncologist based in Beverly Hills, California. He graduated from the David Geffen School of Medicine at UCLA and then did his internship at the UCSF –Fresno. He completed his residency in Radiation Oncology at the University of Arizona. 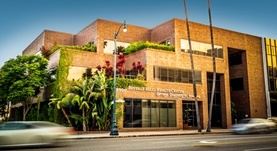 Dr. Gabayan has been practicing for about 20 years and is currently affiliated with the Beverly Hills Cancer Center. He has also contributed to three research publications. Dr. Arash Gabayan has contributed to 3 publications. Welsh, J., Sanan, A., Gabayan, A.J., Green, S.B., Lustig, R., Burri, S., Kwong, E., Stea, B.; Int J Radiat Oncol Biol Phys. 2007 May 1. GliaSite brachytherapy for treatment of recurrent malignant gliomas: a retrospective multi-institutional analysis. Gabayan, A.J., Green, S.B., Sanan, A., Jenrette, J., Schultz, C., Papagikos, M., Tatter, S.P., Patel, A., Amin, P., Lustig, R., Bastin, K.T., Watson, G., Burri, S., St...; Neurosurgery. 2006 Apr. The effect of anterior cruciate ligament graft rotation on knee laxity and graft tension: An in vitro biomechanical analysis. Hame, S.L., Markolf, K.L., Gabayan, A.J., Hunter, D.M., Davis, B., Shapiro, M.S. ; Arthroscopy. 2002 Jan.